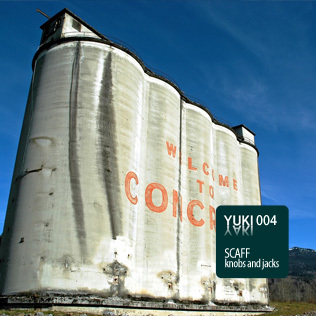 Scaff's e.p. is a snapshot of his studioworks. In these sessions Scaff jumps through his drumpatterns and modulates clear electronic sounds and melodies. The tracks were recorded live and so they are not repeatable. Scaff aka Meic Kluge has been loving to deal with regulators and knobs for 17 years. After his origin in the Pre-Midi-Aeara he had been touring as one half of the minimal-techno act "Wellenreiter" through Germany during the mid of the 1990ies. Always in search of the perfect beat and a whole lot curiosity for innovations. Now he seems to have concluded it. His love for patch calbles and his discontent with modern technics lead him back to the achievements of the 70ies and 80ies: analogous modular systems. Using them he produces fresh sounds bound into a modern context. His tracks are always unicums being generated live with no further editing. This form of production leads to unique landscapes of an ever modulating sound and beats that seem to want to wind into the ears of the listener. Scaff has announced the year 2006 as year of music and he hopes to contract new collaborations in his new home Hamburg. Furthermore he has planned more productions and a reunion with Enrica aka Auxx, the former "Wellenreiter". great tunes! cheers from Greece! Righteous, a cool simplicity and well produced. moveable grooveable with some great efx. Nice warm Groove, you just get it with Analogues. Hey Thanx für den Sound, kommt richtig gut! Nice stuff, very good sounds. hey DJ Montana I concur with you! decks is really outstanding! ..kommt ziemlich groovy daher. verdammt coole scheiße das zeug. motown advanced! !